This year the Finnish Film Affair jury of HIFF has selected Stupid Young Heart by Oscar-nominated director Selma Vilhunen to receive the Work-In-Progress award and funding. This is the third year that FFA has awarded €3000 to the most promising film to be spent on international marketing efforts. The film is produced by Elli Toivoniemi and Venla Hellstedt (Tuffi Films) and international sales are currently available. These filmmakers are familiar with FFA: Vilhunen’s film Little Wing screened at FFA last year, and in 2015 Toivoniemi won the FFA award with Once I Was a Dragonfly. At a new sidebar event Nordic Flair, HIFF and Finnish Film Affair awarded the Danish actor Pilou Asbæk with the Nordic Flair Award. At Nordic Flair, 38 attending Nordic actors and directors met with the some of the top industry guests of FFA. The Nordic Flair Award is given to a person working in the film industry whilst boosting Nordic talent internationally. The award serves as a recognition of Asbæk’s brave role choices and his internationally renowned career; Asbæk is known for his leading roles in the BAFTA winning television series Borgen and the Oscar nominated film A War (2015). He has also appeared in the hit American TV series Game of Thrones and Scarlett Johansson’s Lucy (2014) and Ghost In The Shell (2017). The jury felt Vilhunen’s coming of age story stood out on many levels. The subject matter felt edgy, relevant and focused on the dilemma of making correct choices in a complex and contemporary world, both personally and morally. Even though it is in the early stages of filming, the footage was excellent and the presentation and talent behind the project made us confident the film could reach international attention and would benefit from this prize. 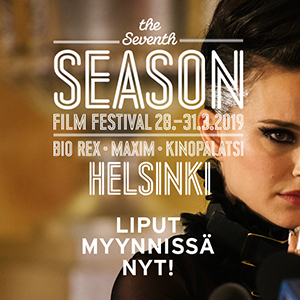 This year the Finnish Film Affair presented nearly 50 Finnish films and projects to international guests including sales agents, distributors and TV buyers. The Work-In-Progress and Works-In-Development films were very well received by the industry representatives. The companies in attendance included Altitude, Wild Bunch, XYZ Films, Studiocanal, Lionsgate, Raven Banner, Westend Films, BBC FIlms, Indie Sales, New Europe Film Sales, AMP International, and Films Boutique. In addition to the showcase of Finnish films, all international and domestic participants participated in various networking events – over 400 individual meetings were organized during the event. Two popular panels were moderated by industry veteran Adam Leipzig and included such acclaimed panelists as Adam Chapnick (Distribber), Bobby Allen (MUBI), Aram Tertzakian (XYZ Films), Dana O’Keefe (Cinetic Media), Camille McCurry (United Agents), Justin Littman (Gotham Group), Laura Kuulasmaa (Elisa Viihde) and Peter Trinh (ICM Partners). The Finnish Film Affair is an initiative of the Helsinki International Film Festival – Love & Anarchy organized with partners such as the Finnish Film Foundation, Tekes – the Finnish Funding Agency for Innovation, AVEK – the Promotion Center for Audiovisual Culture, Audiovisual Finland, Creative Europe / Media, the Central Organisation of Finnish Film Producers, Finland Film Commission and with the support of the Ministry of Education and Culture and the Ministry for Foreign Affairs of Finland. Love & Anarchy reruns announced!